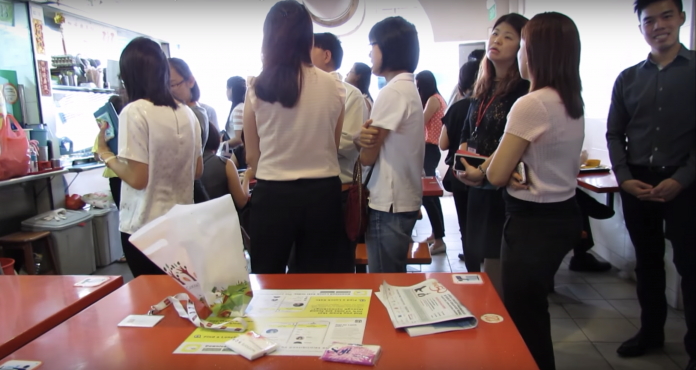 The acquired, passed-down and accepted social norm of reserving tables using anything from tissue paper to other random belongings may seem normal to Singaporeans but actually posed as a culture shock to one German exchange student. 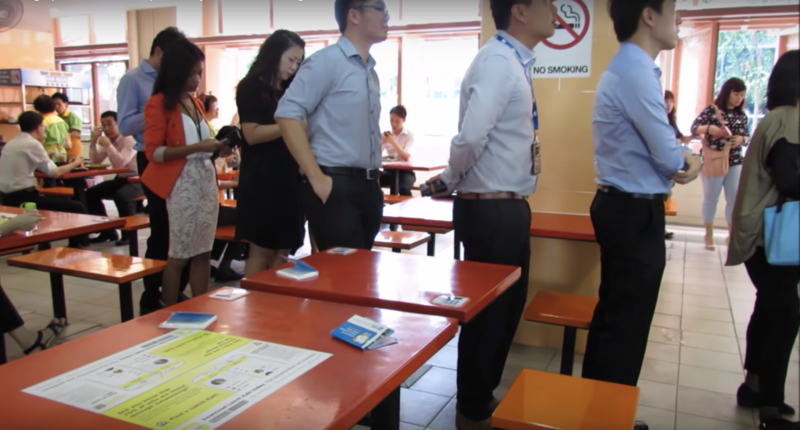 He retreated to social media to get some answers and luckily was not preyed on by Singaporeans even though he called the whole thing “really selfish” and Singaporeans to be “cold and unfriendly”. 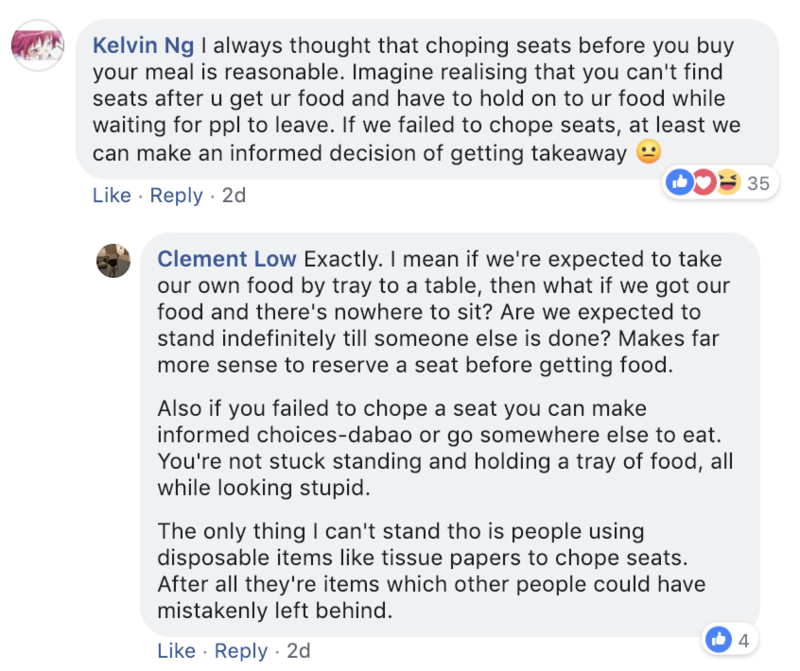 As succinctly summarized by Kelsey Wang, chope culture is real and justifiable. For a detailed explanation, read Kelvin Ng and Clement Low’s explanations below. Jeffrey Lim also suggested some ways that the exchange student could meet friendly Singaporeans. Angelina Wee has also given him an insider tip and told him to run faster so he can chope successfully. Or, according to Lachlan Shanks, the exchange student can opt to just move the stuff and reconquer the choped table. 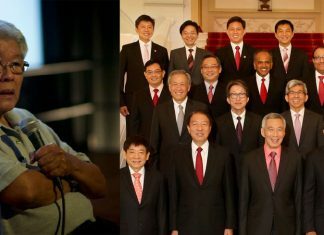 He also adds that he experienced the same thing initially but has met a lot of friendly Singaporeans along the way. Meanwhile, Chua Chong Kiat makes an inside joke and proves the friendliness of Singaporeans in relation to the recent water issues between Singapore and Malaysia.